US equity indexes closed on a somewhat positive note, sp +1pt at 2502. The two leaders - Trans/R2K, settled higher by 0.4% and 0.5% respectively. 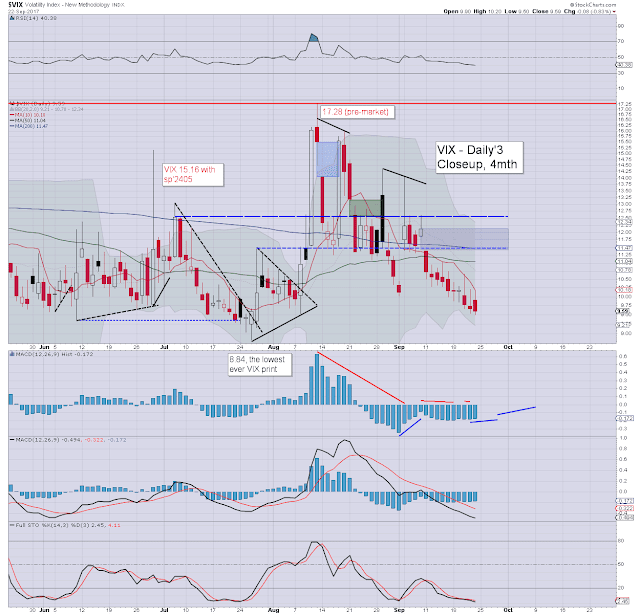 VIX settled -0.8% at 9.59. Near term outlook offers sig' downside next week, first soft target remains 2474/61. More broadly, the 2400/2390s... where the 200dma will be lurking in Oct'. 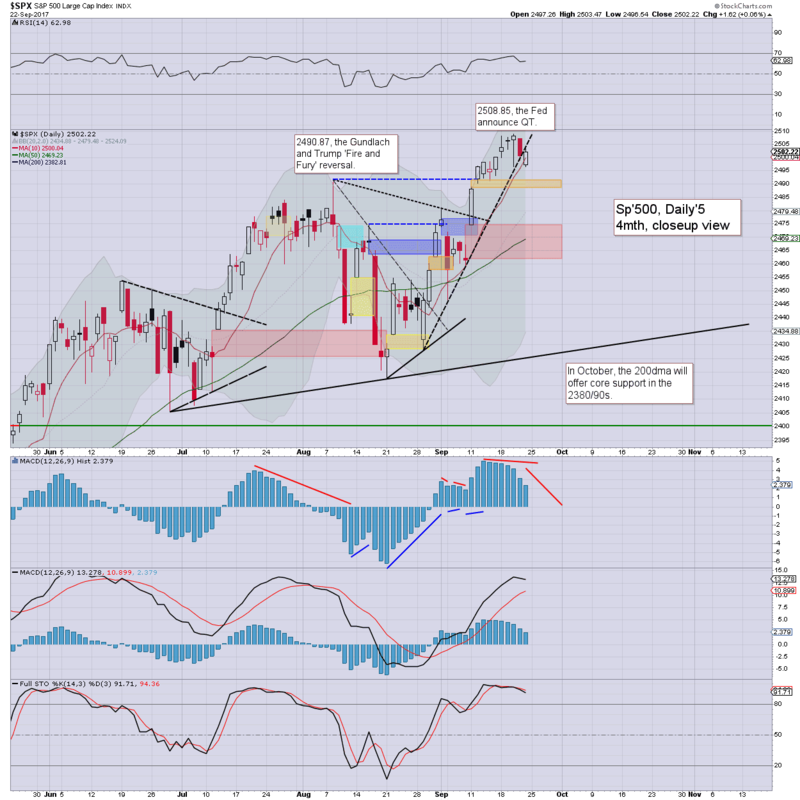 First, lets be clear, it was a bullish week for the US equity market, as we saw a quartet of new historic highs in the sp'500, Dow, nasdaq comp', and nyse comp'. As for today, US equities opened a little weak, after overnight 'war chatter' from both Trump and the DPRK. Yet price action remained very subdued, leaning upward into the close. 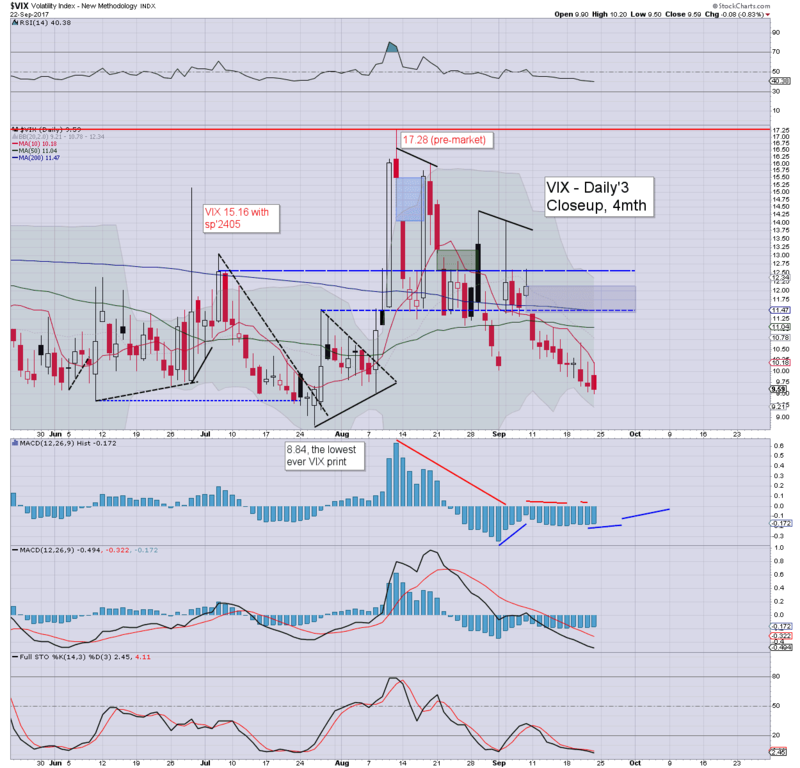 As equity indexes are close to historic highs, market volatility is broadly subdued, with the VIX settling the week in the 9s. Near term outlook remains unchanged. A 4-5% main market correction is due, to at least test the sp'2400 threshold, with the key 200dma just a little lower.